Musical instruments are often something we quit while we were at school. After all, we thought we were cool back then. What we didn’t realise is that musical instruments, which were once the bane of our lives, would seem cool again one day. Plus, there’s great benefits to learning them. But which one should you pick up if you want to start learning now? 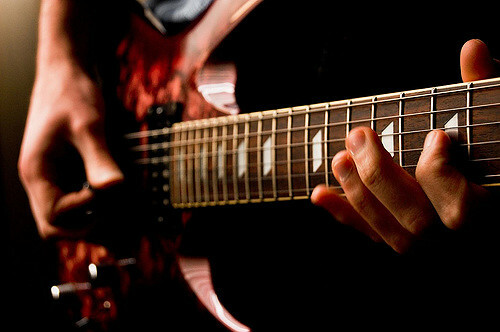 The guitar is probably one of the most common musical instruments adults decide to learn. After all, who hasn’t had a fantasy about taking the stage at a rock gig at one point in their life? The great thing about learning to play the guitar is that you don’t necessarily need to learn to read music to go along with your new skill. It’s a bonus, but not necessary, which makes guitar seem more accessible to complete newbies. As musical instruments go, this one is one of the most beginner-friendly. Take a guitar, subtract two strings, make it smaller, and imbue it with the ability to create mental images of Hawaii and you basically have a ukulele. It has the same benefits as a guitar in that it’s relatively easy to learn and doesn’t need the ability to read music. It’s also a lot more portable. However, you will probably find yourself talking about George Formby more than you expected. We’re willing to bet that this is one of the musical instruments most commonly given up while people were still at school. It is, after all, quite big and generally requires the ability to read music. Luckily keyboards, at least, have come a long way since then. They’re now very portable in many cases. They’ll even guide you through playing a simple song using light-up keys. You could be the next Elton John before you know it. Do you love a good rhythm? Do you hate your neighbours? The drums are the musical instruments for you. They come in various forms, from the full-on kit to individual ones like the tabla. You’ll be surprised by just how many different sounds you can get out of one piece of kit. As will your neighbours. This is not the instrument for those living very close to other people, unfortunately. If you can make a sound by blowing across the top of an empty bottle, you already have the basics of playing the flute down. It looks like a complicated object, but it’s really easy once you get the hang of it. It’s another instrument that will need you to learn how to read music, but that doesn’t have to be an obstacle – a great teacher will be able to get you started with that too. So, what musical instruments do you fancy having a go at? Don’t forget to keep an eye on HowNow for a chance to take great music classes with experts all over the globe.